This does sound like a sweet story. I liked this one, too! And I loved the scenes with the kids – so sweet!!! I haven’t read this author yet…sounds like I must. Thanks for sharing. 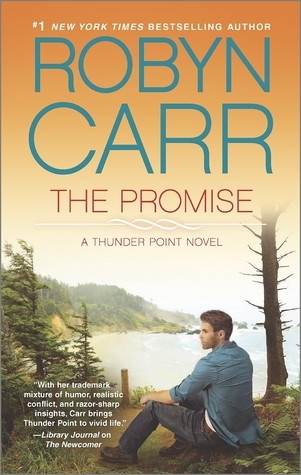 I haven’t read Robyn Carr yet. I should. Does the book stand alone or should it be read as part of the series? I’m glad Scott gets his story, though I’m surprised it took until book #5. I’m behind on this series — trying to work my way through Virgin River too! Karen reviews this series on my blog and I know she enjoys them. I’ve only read the one Robyn Carr, Four Friends and I loved it so I should make a start on these.